There is no question that supplements can play a vital role in promoting joint health and improving your quality of life, especially if you are having troubles with pain caused by inflammation or a health condition, such as arthritis. However, the crucial thing to ensure when you are picking a joint supplement is that it is worth your money. Make sure to read our guide filled with useful info that will help you pick the right product, as well as check out the list of the best supplements we selected for you. Yes, joint supplements really can help with joint pain and promoting general joint health. However, you need to make sure that you choose the supplement with the right formula of ingredients. You will notice the trend that the best joint supplements have rather similar ingredients. Glucosamine sulfate and chondroitin sulfate work together to promote the strength of your cartilage and collagen can also participate in strengthening your tissues. Vitamins, minerals, and other herbal-based ingredients with antioxidant properties can help you to fight inflammation in your joints and other parts of your organism. Does Glucosamine Help with Joint Pain? Glucosamine is an amino sugar that is naturally present in the human body. The additional amount of glucosamine provided by joint pain supplements should promote cartilage health and provide pain relief. In fact, this compound is often used in treating osteoarthritis and similar conditions because it can slow down the advancement of the condition. Glucosamine sulfate is known for its positive influence when it comes to joint pain relief and there are its benefits can be additionally supported with other compounds, such as chondroitin sulfate. What Can You Take to Lubricate Your Joints? Lubricating your joints not only increases your mobility and enables you to move around freely, but also decreases the pain you are feeling. When it comes to what you can take for lubricating your joints, we would suggest a balanced nutrition and food rich in antioxidant and anti-inflammatory properties. That includes fruit, vegetables, tuna, salmon, and other fish rich in Omega-3 fatty acids. If you can’t get enough of the recommended compounds via natural nutrition, it is advisable to add a dietary supplement which can secure a boost of essential ingredients that will lubricate your joints. How to Choose the Best Supplements for Joints? The first thing you should do is to check out the list of ingredients to ensure that they are safe to use. While inspecting the label, make sure that the formula contains compounds that may help you to improve and maintain adequate joint health. Finally, it can’t hurt if the supplement is manufactured by a reliable manufacturer. We did the footwork for you and selected some of the best products in this category. 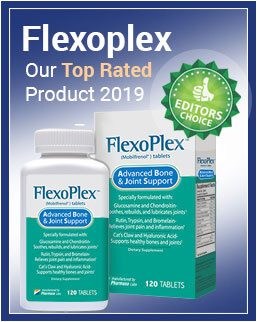 The list of ingredients included in Flexoplex is impressive – glucosamine sulfate, chondroitin sulfate, MSM, hyaluronic acid, Boswellia Serrata, cat’s claw bark powder, rutin, bromelain, trypsin, and several others that round up the powerful formula of this supplement. This enables the product to have multiple potential benefits, including providing pain relief, fighting inflammation, reducing swelling, improving mobility, and promoting long-term joint health. 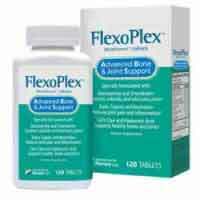 FlexoPlex comes in the form of capsules that you should take twice per day – two tablets in the morning and two in the evening. The manufacturer seems confident in its product and offers a 60-day money back guarantee, but most users were satisfied with the product and confirmed that it improved their quality of life by reducing pain, swelling, and joint inflammation. Get more details here. 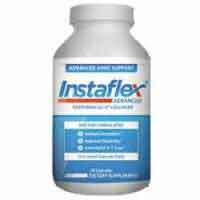 Instaflex Advanced features an intriguing combination of ingredients, including turmeric, Boswellia Serrata, collagen type II, and hyaluronic acid. Turmeric is the superfood recommended for treating pain and inflammation caused by osteoarthritis and hyaluronic acid and collagen should help to repair damaged cartilage and strengthen it for future endeavors. The manufacturer didn’t forget to include Bioperine to increase the bioavailability of other ingredients and ensure that the users utilize their maximum potential. Get more details here. Turmeric Plus focuses on long-term benefits for your joint and overall health. 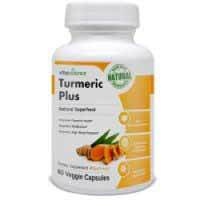 The handsome amount of turmeric and curcuminoids, a compound that prevents oxidative damage and keeps cartilage from degrading is the main reason why this supplement can help in fighting inflammation. When it comes to osteoarthritis, you do not only want to experience pain relief, but you want to ensure to do everything in your power to prevent joint degradation which could further affect your quality of life. Get more details here. 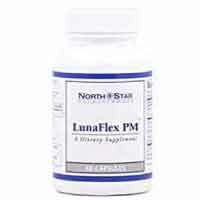 The working process of Lunaflex PM starts by utilizing the Humulus lupulus (Perluxan hops) extract that blocks enzymes that make the person feel pain caused by inflammation. While this is a short-term benefit, the supplement also works in long-term thanks to the UC-II collagen and the valerian root extract. The former can lubricate and strengthen your joints, while the latter promotes optimal sleep, which is also important for the regeneration of damaged tissues. Get more details here. Heal N Soothe bets on the systemic enzyme blend that contains five different compounds aiming to help with the pain relief and joint lubrication. Aside from this mix, the product also contains several other herbal-based ingredients, including citrus bioflavonoids, yucca and ginger root, which support joint health and immune system. Overall, Heal N Soothe is a combination of modern medicine and traditional ingredients that people have been using for centuries to promote overall health. Get more details here. Do you have your favorite yet? The truth is that you can’t go wrong with selecting any of the products from the above list. Some supplements focus on particular joint issues, such as relieving pain, while others tend to be an all-around product that will positively affect your joint health in the long run. Make sure to give at least some of them a shot as they have a natural way of helping you to deal with inflammation and other joint problems you might be having.